Iranian prison authorities have denied some political prisoners regular visits by their loved ones. 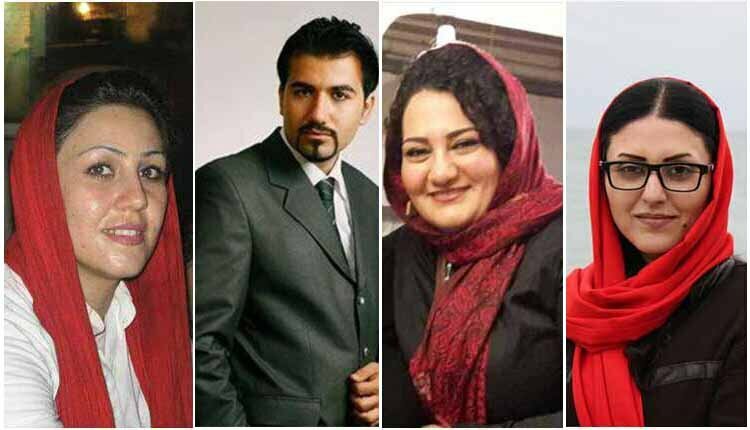 Political prisoners Soheil Arabi, held at the Greate Tehran Penitentiary and Golrokh Iraee, Atena Daemi and Maryam Akbari Monfared, held at the women’s ward of Evin Prison have been deprived of their family visitations. Soheil Arabi has been prevented from regularly family visits for the past four weeks. Farangis Mazloumi, the mother of political prisoner waited long hours Monda to visit her son, only to be told he is banned from prison visits. Prior to this, Soheil Arabi had been taken to ward 209 of Tehran’s Evin Prison where he was beaten for engaging in peaceful activism inside the Great Tehran Penitentiary. Since the arrest in 2013 of Arabi, a 32-year-old political prisoner, authorities have frequently held him in solitary confinement and prevented him from regularly meeting or speaking with his family. Meanwhile, Golrokh Iraee, Atena Daemi and Maryam Akbari Monfared, three women political prisoners in the women’s ward of Evin Prison have also been deprived of their family visitations for three weeks since Tuesday, October 2, 2018. Prison agents have argued that the illegal verdict has been handed down because of the three women political prisoners’ verbal argument with prison guards at the visitation hall where they chanted slogans. The three political prisoners demanded to see the verdict, however, the head of the women’s ward said it had been verbally communicated to them by Charmahali, the Prison Administrator, and the Prosecutor’s Office. On Saturday, September 9, 2018, the day after the executions of Ramin Hossein Panahi and Loghman and Zaniar Moradi, three political prisoners detained in Rajai Shahr Prison in Karaj, the three women political prisoners encountered an unannounced inspection inside the visitation hall. They resisted and refused to be inspected. The Prison Disciplinary Council formed a meeting in the absence of the three women political prisoners and decided to ban family visits for them for three weeks. They were not shown any written papers but just verbally informed of the order. Following up on the issue, the three women political prisoners found out that the order had been arbitrarily issued by the Prison Administrator. Vaziri, the Deputy Prosecutor, has promised the prisoners to see into the issue and resolve it. In yet another case, detained human rights lawyer Nasrin Sotoudeh has given up her family visitation right in protest against a prosecutor’s demand that she receive visitors fully draped in a hijab. According to her daughter, Sotoudeh was asked to sign a pledge to fully observe the hijab, she objected and then protested by refusing to go to visitation and will not be making phone calls.